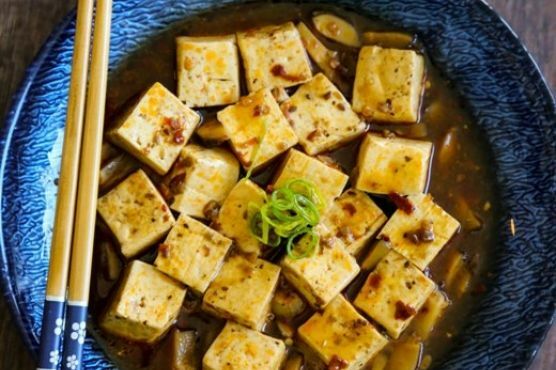 Soak the tofu in hot salt water for 5 minutes in order to reduce the pungent soy taste. Mince the reconstituted shiitake mushroom In a frying pan or wok, heat 1 tbsp of oil. Add the tofu cubes to the sauce and bring to boil again. Let simmer for about 5 minutes in low heat. Gently use a specula to splash sauce over the tofu. Thicken the sauce with cornstarch.